The Catholic University of Korea, Seoul St. Mary's Hospital has proved that minimally invasive surgery is effective in patients with spinal deformity, the hospital said Tuesday. An adult vertebral deformity occurs when a person’s vertebrae are unusually bent or twisted, making daily life difficult as it causes chronic back pain. Most of the elderly patients suffer from degenerative changes of the muscles around the vertebrae, which is difficult to restore with conservative treatment such as exercise therapy. Surgical treatment is also valid, but there are risks of postoperative complications due to age, underlying disease, and osteoporosis. 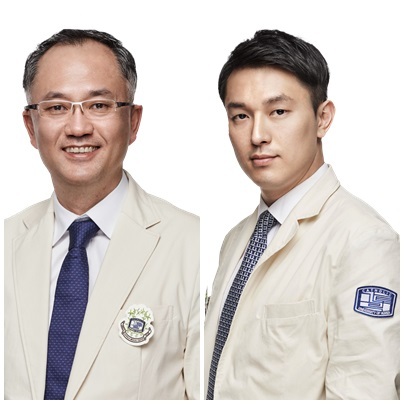 To confirm that minimally invasive surgery is effective, the research team, led by Professors Kim Young-hoon and Park Hyung-yul at the hospital, analyzed 91 patients who received surgeries to treat their spinal deformities at St. Mary’s Hospital from 2012 to 2015. Of the 91 patients, 48 underwent minimally invasive lateral interbody fusion operation, and the other 43 underwent conventional spinal surgery. The mean age of the patients was 70 years, and the team evaluated postoperative clinical and radiological results in both groups. As a result, the patients who underwent minimally invasive surgery had no clinical differences such as back pain and less intraoperative bleeding when compared with conventional spine surgery. Also, the minimally invasive surgery caused less damage to the spinal structures and showed a faster recovery process and fewer complications. Regarding radiological results, X-ray examination confirmed that the minimally invasive surgery corrected the vertebral deformity more effectively. “Although it may be scary to receive spine surgery if there is no response to the symptom relief treatment such as medication and treatment, surgical treatment is required to eliminate the cause after accurate diagnosis,” Professor Kim said. “Minimally invasive spinal surgery is effective for elderly patients as it injures fewer surrounding tissue and has a shorter operation time than conventional surgery." However, a skilled surgeon should perform the surgery as the surgical incision is small and the view is limited, which increases the risk of adjacent organs and nerve damage, Kim added. According to the hospital, the study was selected as a nominee for Hibbs Award by the Scoliosis Research Society, an international association of spinal deformities, during its conference held in Philadelphia in September 2017. The journal Spine published the result of the research in its July issue.